Home / Uncategorized / What Diet is Right for You? The start of a new year is the best time to create healthy habits and break the old, bad habits. Many people are buying gym memberships, joining weight loss programs, and starting a new diet, but not every diet is right for everybody. So, how do you know what diet is right for you? You need to first consider any food allergies you have and work around those, then you need to figure out your individual nutritional needs like protein, fat and carbohydrates. Doing these things and getting your blood work done should make it easier to find the diet that works for you. Food allergies, intolerances and sensitivities are much more common now than they were thirty years ago, and avoiding the foods that cause you issues is very important. Continuing to eat foods that you’re allergic to can cause inflammation, and chronic inflammation may contribute to a wide variety of issues including autoimmune disorders and cancer. So, if you have an allergy or sensitivity to dairy, for example, and you would like to try the Keto Diet, then you need to find safe alternatives to the large amounts of dairy that are typically consumed when following the Keto Diet. Coconut milk, almond milk, and coconut cream are just a few examples of dairy-free options. Everyone’s genetics and daily routines are different, so you also need to consider your personal nutritional needs. For example, if you lift weights often, and/or have high muscle mass, then you will likely need to eat more protein than the average person. 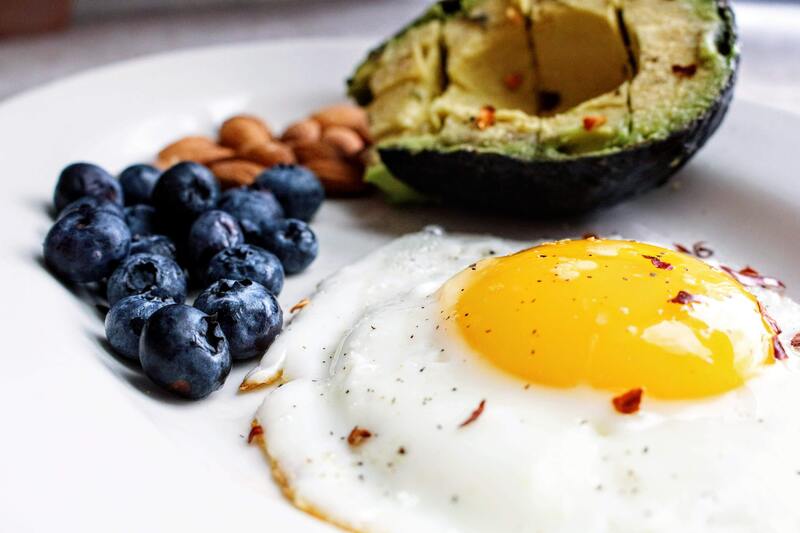 If you struggle with always feeling hungry, you could try a high-fat diet like the Keto Diet because fat keeps you feeling full and satisfied longer than protein and carbs do. However, if you have had your gallbladder removed you should be careful following a high-fat diet as it is harder for your body to digest fats without a gallbladder. You can still eat fat without a gallbladder, but taking digestive enzymes containing ox bile with each meal is crucial. Digestive enzymes containing ox bile – like Ortho Digestzyme – can help provide the extra bile your gallbladder used to be responsible for supplying, and that your body needs to properly digest fat. These are just a few examples of things you should think about before choosing a diet. The Ketogenic (Keto) Diet is one of the most popular diets right now, and there are many people committed to following it. There are countless success stories, and it was a miracle diet for some people, but it’s not right for everyone. The main goal of the Keto Diet is to eat high-fat and low-carb foods with a general goal of seventy to eighty percent of your daily calories coming from fat, twenty to twenty-five percent coming from protein, and only five to ten percent coming from carbs. This typically means you’ll be eating less than fifty grams of carbs per day, with some people’s carbohydrate goals being even lower. Although this has already been mentioned, it is important and should be reiterated: If you have had your gallbladder removed you may find the Keto Diet difficult or uncomfortable to follow, this is why taking the proper digestive enzymes is so important. Both Panplex 2-Phase and Ortho Digestzyme contain ox bile and are great for aiding in digestion for those who have their gallbladder and those who don’t. Vegan and vegetarian diets have helped many people, but we do not advise following these diets for a long period of time. Vegan and vegetarian diets can be good detox diets, giving your body a break from digesting meat which can use up more energy than digesting fruits and vegetables does. Many people have found that these diets made them feel great for the first two to six months, but they then suffered from low-energy, brain fog and weakness. This is likely due to the lack of vitamin B12 which people mostly get through animal products like fish, meat and eggs. It could also be due to insufficient protein or amino acids as it can be difficult to consume enough protein and amino acids on a vegan or vegetarian diet, especially for beginners. So, you could try one of these diets for a month or two to give your digestive system a break, but due to how restrictive these diets are we do not recommend following them for more than two months. Regardless of what diet you choose to follow, it should be centered around eating whole, natural foods. A Keto Diet high in unhealthy, processed fats like vegetable oils can do more harm than good, or a vegan diet high in packaged, processed foods, even if they’re certified vegan, can be more unhealthy than what you were eating before. So, focus on high-quality fats like olive oil and coconut oil, fresh organic fruits and vegetables, organic grass-fed and free-range meats and eggs, and avoid packaged, processed foods. Many people get hung up on following a specific diet like the Keto Diet or a vegan diet, but it is often easier to simply focus on eating whole, natural foods. Do your best to eat a big serving of organic vegetables with every meal, choose grass-fed/free-range meat and eggs, eat organic fruit for dessert rather than sugary foods, and drink plenty of filtered water. How Can I Know What I Need? Fortunately, blood work results can tell us a lot about what’s going on in your body. We can learn about your thyroid function, your digestive health, liver function, kidney function, your immune system, blood sugar problems, heart health, and many others just by reading blood work results. There are many different things that can affect your ability to lose weight, so finding any abnormalities and dealing with them can make losing weight easier. Nutrients typically need to be adjusted to help restore certain organs and functions in your body, so giving your body what it needs can help you feel better and shed the pounds faster. So, take note of any food allergies, consider your level of physical activity, and get your blood work done. Then, let us help you reach your goals by finding the right supplements and finding what diet would be best suited for your individual needs. Remember to drink plenty of clean water and eat lots of organic fruits and vegetables, regardless of what diet you choose to follow.